From the Tailor & Cutter 1960. 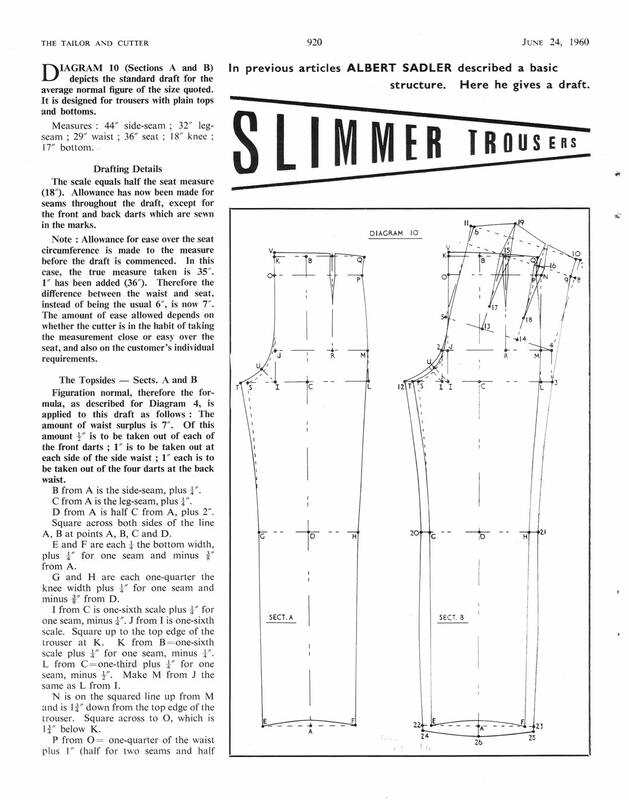 This is essentially a draft for a slimmer version of the high-rise trousers that dominated in prior decades. The word 'slimmer' here has to be put into context and be compared to the standard trousers of the 1950s which were quite wide. It is not a draft for modern 'skinny' trousers! I am posting this here because I recall that a new member (James J?) 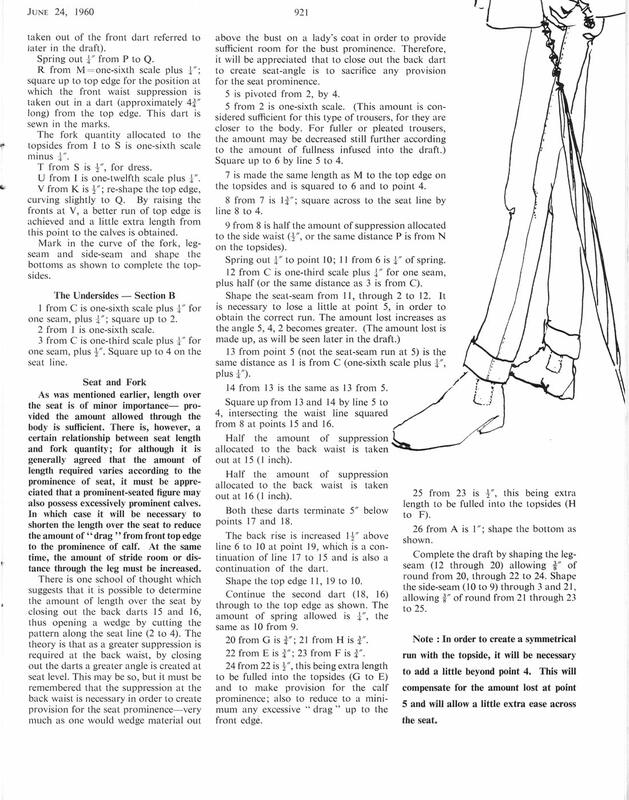 at the Cutter & Tailor wanted to make closer-fitting high-rise trousers and went through a very convoluted method of converting Mansie's draft into high-rise trousers, then used the Morris (or Whife) draft and was unhappy with the larger silhouette. These would probably have been a better starting point.